Just over a week ago our son received his GCSE results: 9 ‘A’s, 1 ‘A*’, 1 ‘B’ and another A in Further Maths, along with a Merit in PE. These add to the A & A* he got last summer. This card is from his proud parents, but the celebrations are on hold as his poor Dad has been ill throughout the whole of the summer, and although he’s finally home from hospital he’s still very poorly. Anyway, onto the making of the card. 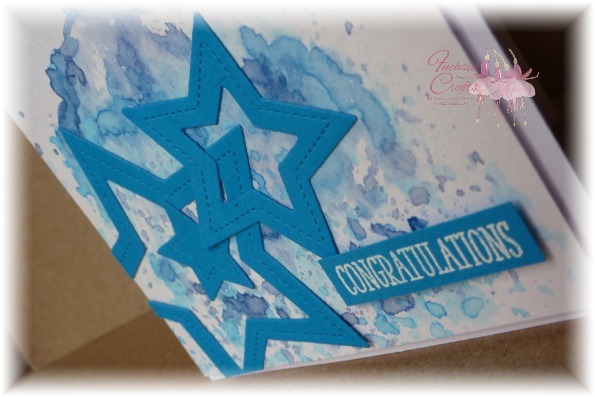 I decided on a little bit of ink smooshing with various Distress Inks (sorry, can’t remember which ones), then cut some stars using Little B dies from card I found in my stash. 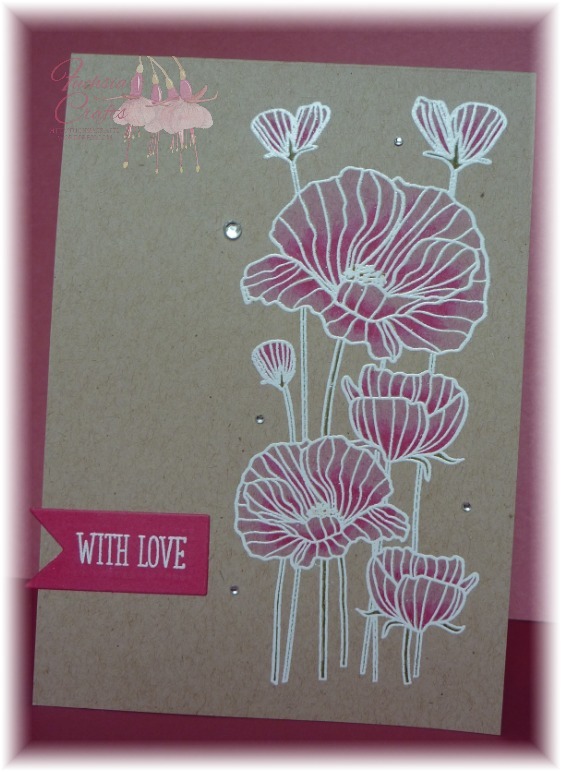 The greeting is by Clearly Besotted, stamped in Versamark & embossed in Wow! 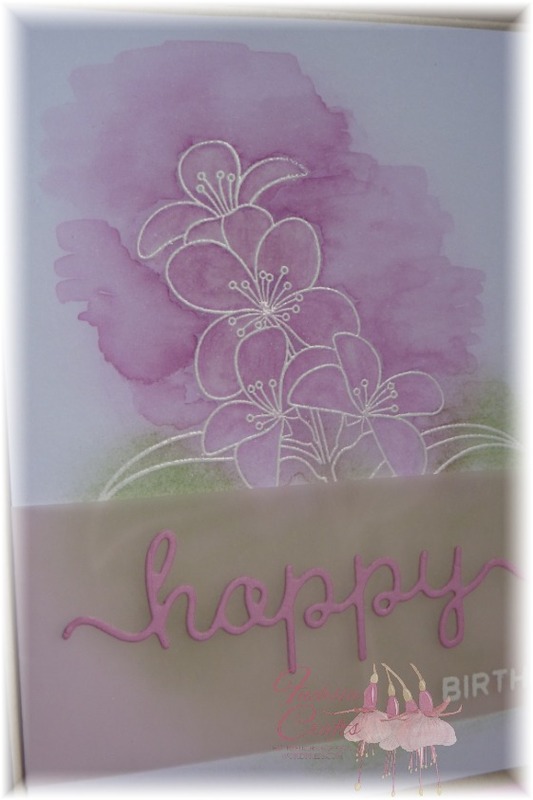 white fine detail embossing powder. I’m entering this into the challenge over at Addicted to CAS, where the theme is Blue. 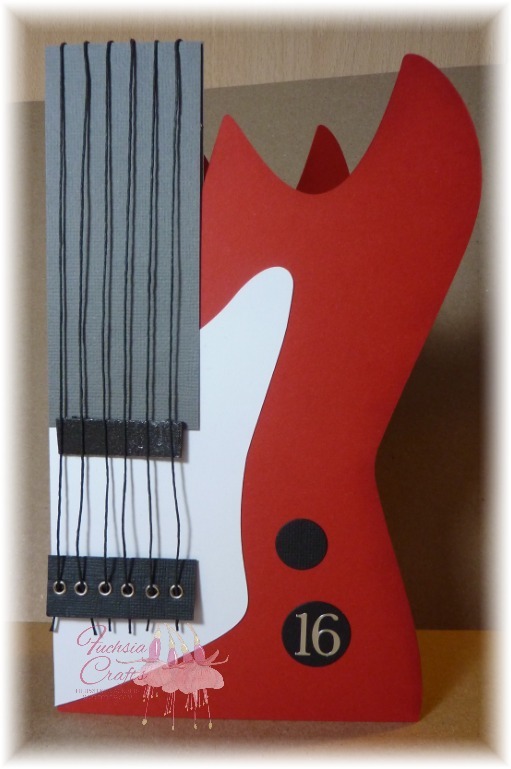 A while ago I spotted this card and knew that something similar would be perfect for our guitar-obsessed son for his 16th birthday. The card below was my interpretation of it, but it had to be six-stringed for my son as I knew he wouldn’t want a four-string bass guitar! The strings on my finished card ended up being not quite what I had planned, but lack of time for shopping & crafting meant I had to improvise with what I already had in. The basic shapes were cut on my Sizzix Eclips although someone more skilled with scissors than me could cut these by hand. 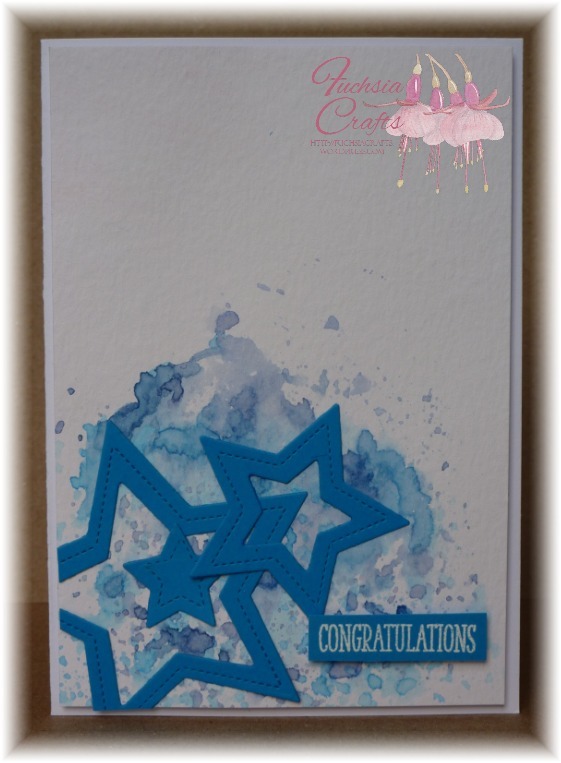 I’m going to enter this into the challenges at Bunny Zoe’s Crafts where the theme is shaped cards, and Ooh La La Creations where the theme is One for the Boys. Zig Clean Colour pens are all the rage at the moment, but I’ve seen very few reviews by amateurs. I decided to buy just a couple to test them before deciding whether to add them to my birthday list. I bought Peach Pink and Sugared Almond Pink as they don’t appear in any of the larger sets, and they looked like they’d match each other. 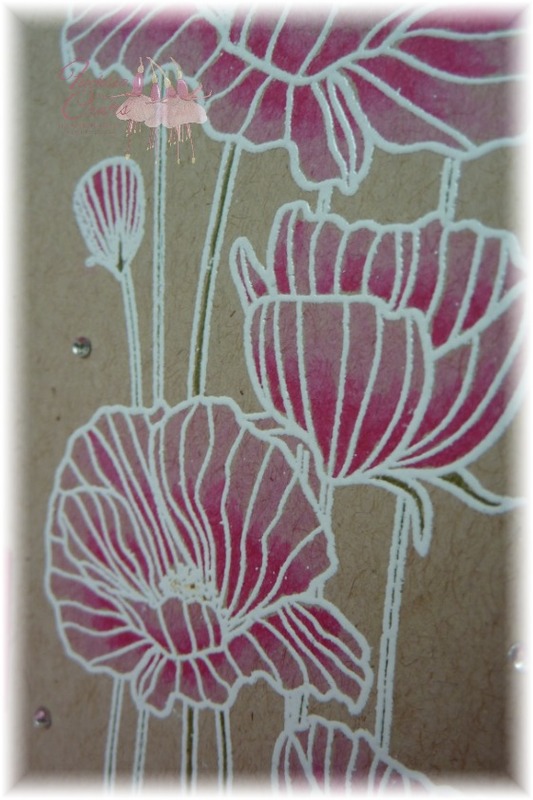 I decided to try them out on Neenah Desert Storm kraft card – many colouring mediums get “lost” on kraft and I’ve never seen anyone else use Zig pens on kraft. The colours blend beautifully, and even the pale colour holds its own against the kraft (although, as ever, it doesn’t show too well in the photos). 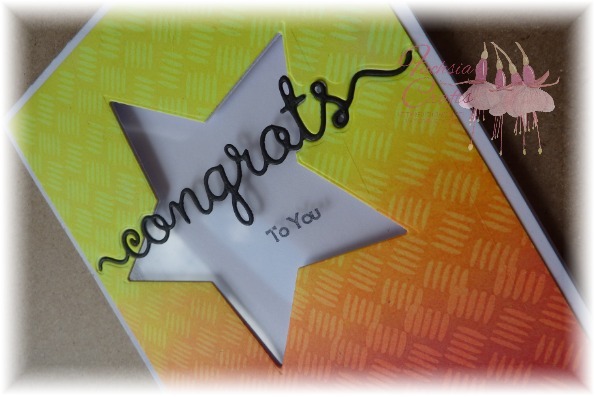 I finished the card off with a die-cut fishtail flag (by Sizzix), a stamped greeting by Clearly Besotted and a little bit of bling. 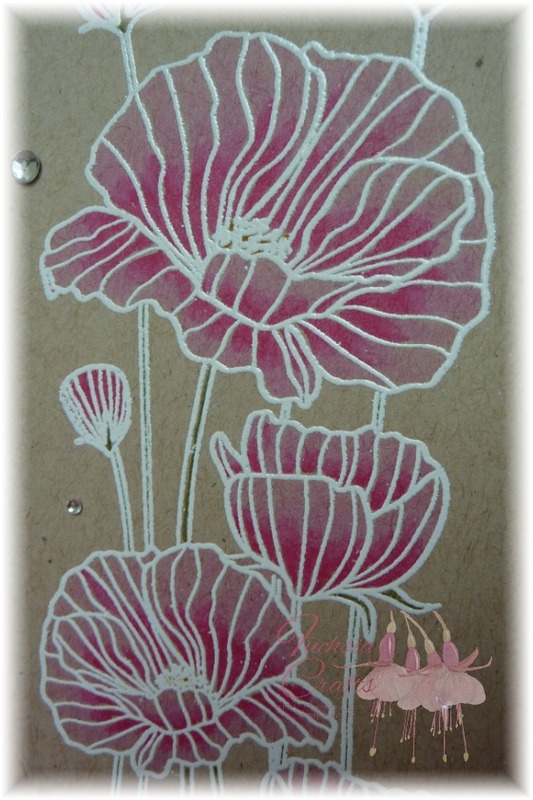 As it fits with the latest challenge over at Stamping Sensations (Anything goes with a stamp and a die) I’m going to make this my third & last entry over there. So my holiday – if you can call it that! – is almost over. Back to work tomorrow, my poor hubby is still in hospital & the odd snatches of card making I’ve been able to do have been my sanity these last couple of weeks or so. I’m sure there’s plenty of people out there who will relate to that. As is often the case, the photograph doesn’t show this too well. I don’t know whether I need a new camera, or simply to learn how to work the one I’ve got better! I then painted around the flowers with a little bit of water. 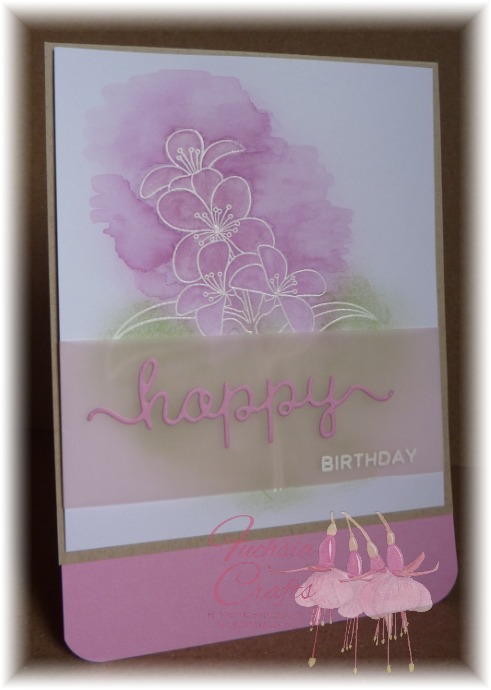 I felt that a simple diecut word & stamped greeting on vellum was all it needed to finish it off. I think I’m going to make this my second entry over at Stamping Sensations, where the theme is anything goes with a stamp and a die. Well this week certainly hasn’t turned out as planned! On Friday we were due to fly out to Lisbon for our family holiday, but unfortunately my husband was taken ill & we had to cancel 36 hours before we were due to fly. To say I was gutted would be a huge understatement, as I’d also planned a 16th birthday surprise for our son who would have celebrated his birthday out there. Instead we’re stuck at home and my poor husband is still ill, being looked after by Nurse Helen! 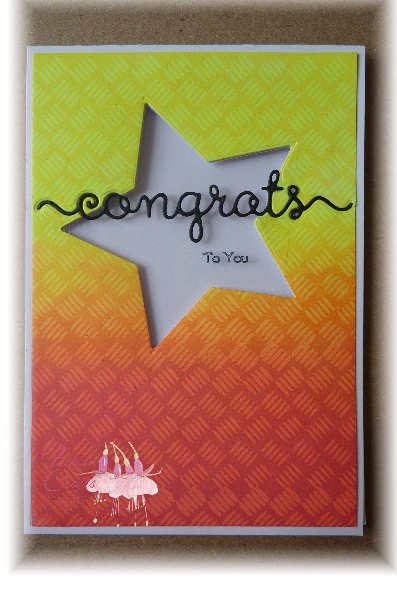 I’ve just realised this qualifies for this month’s challenge over at Stamping Sensations where the theme is Anything Goes and you must use a stamp and a die.